Deadlines for admissions are approaching. With education emerging as a huge business, and India being the second-largest source of origin of international students, the foreign outflow of funds from the country is substantial. A general shortfall in cash arising out of demonetisation, banking woes, fluctuating dollar rates, and hindrances in the outflow of Indian money are factors that would impinge on plans of those desirous of studying abroad. The US, for instance, earned $30.5 billion from international students in 2015 (US department of commerce estimates). Of the million international students who went to the US to study in 2015, 1.6 lakh came from India, representing about 16 per cent of students. This number was 30 per cent more than the preceding year, and India ranks second, behind China and above third-placed Saudi Arabia, as a source. A similar story is repeated in Australia, where 6.5 lakh full-fee paying international students travelled in 2015 on a student visa. Of them, a little over 72,000 came from India (11 per cent). Again, India is next to China, but ranks above Vietnam in terms of origin of international students. Official estimates peg the contribution of Indian students to the Australian economy at A$2000 million. Though it is too early to say whether Donald Trump’s election as next US president and India’s demonetisation drive would affect student intake, the fact that deadlines for admissions in the US are approaching would queer the pitch for many a student. Foreign studies are often used by a significant section of the Indian rich to spend their monies, and embellish their child’s resume with a “foreign degree”. Apart from a section of genuinely brilliant students, who apply for admissions for genuine academic and research reasons, there is a segment among Indians who study abroad as it is fashionable and it grants them an exposure to the western lifestyle. It is this segment that has money to spare, and tuition fees and living costs are normally not an impediment. With the media reporting on the monetary situation in India, foreign universities may seek a tougher guarantee from Indian students before issuing acceptance letters. Anecdotal references of students who could not be shortlisted for admissions in just about any college in India, but were accepted in foreign universities, abound all over India. It is this segment that would willingly pay not just exorbitant tuition fees, but also indulge themselves despite substantive living costs. Since expenditure abroad is difficult for the Indian tax regime to track, this is one way that money is often routed abroad. This is, however, one side of the story. The best among Indian students who get scholarships and fellowships may not take recourse to this route, though in most cases, even their families regularly transfer money abroad to pay their bills. A second, but equally important aspect, is that of “banking woes” that accompany every such student application. Applying for a student visa requires a bank statement that often stipulates that the student or his sponsor is able to prove a mandatory credit balance in the range of Rs 10 lakh or above. Often, family and friends pool their resources into one account to obtain this certificate. Increasing scrutiny of accounts following demonetisation, including mandatory bank reporting of deposits over Rs 2.5 lakh, and the possibility of incurring a penalty would deter such transactions, making it difficult for students to obtain loans. With media outlets regularly reporting on the monetary situation in India, foreign universities may seek a tougher guarantee from Indian students before issuing acceptance letters. Varying dollar rates also impact Indian students, and every year, the cost of international studies inches up due to the falling rupee. Fall admissions normally have a January deadline, and it is the value of the dollar during the preceding months that provide the benchmark for expenditure calculations. 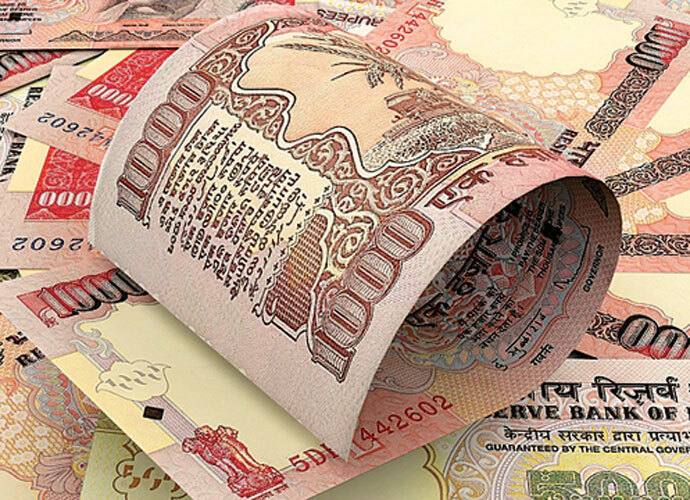 With rules and regulations in a flux, procedures controlling the outflow of Indian money are still not clear, though a clampdown may not sound out of the ordinary. Whether the currency flux impedes or accelerates brain drain would be known when the next major academic intake begins in the Fall semester.